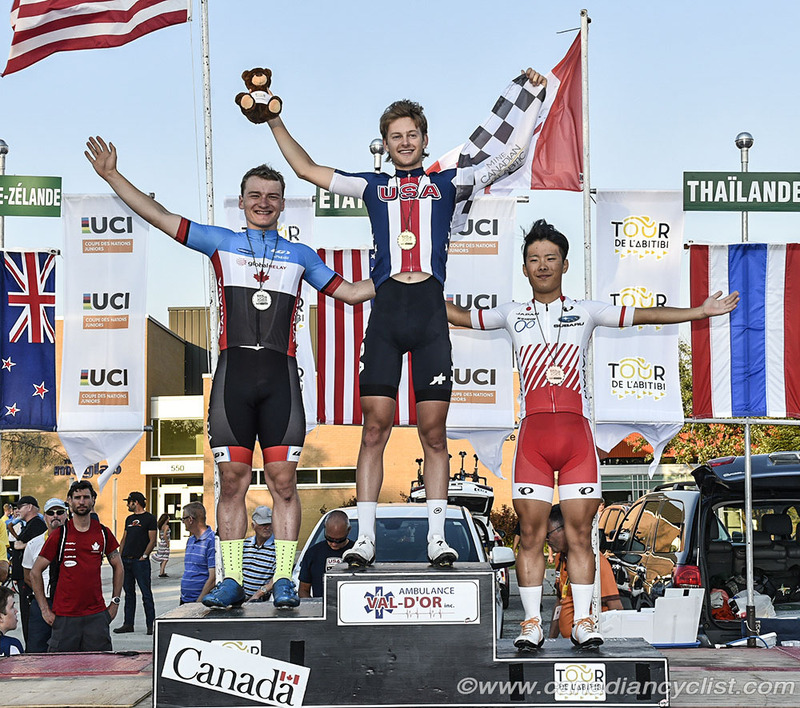 After taking the Brown Jersey at the Tour de l'Abitibi in the Stage 3 time trial on Thursday morning, Riley Sheehan (Team USA) extended his lead in the overall classification later in the day on Stage 4 by winning the field sprint and grabbing the six bonus seconds on offer. Team Canada's Riley Pickrell, the winner of Stage 1, finished second and retook the Points Jersey. The short 52.8 kilometre stage that began and finished in the town of Malartic was controlled by the U.S. national team, who quickly shut down any break attempts. Gusting crosswinds also discouraged efforts to get away, and the field came into the final kilometre intact. Sheehan lead up the false flat final straightaway, with Pickrell closing in the last 100 metres, but running out of road. Yoshiaki Fukuda (Japan) took third ahead of team mate Taisei Hino, who lost the Points Jersey to Pickrell. Robin Plamondon (Team Canada) also made the top-10, finishing eighth. "It was a very good stage, but I would have been happier with the win," admitted Pickrell. "It was a well raced stage by team USA, so I have to accept second. The wind was a huge factor; the main crosswind section was two kilometres before an intermediate sprint [won by Pickrell] so the pace was fast, and if you were caught out of the first echelon, you had to do a lot of work. 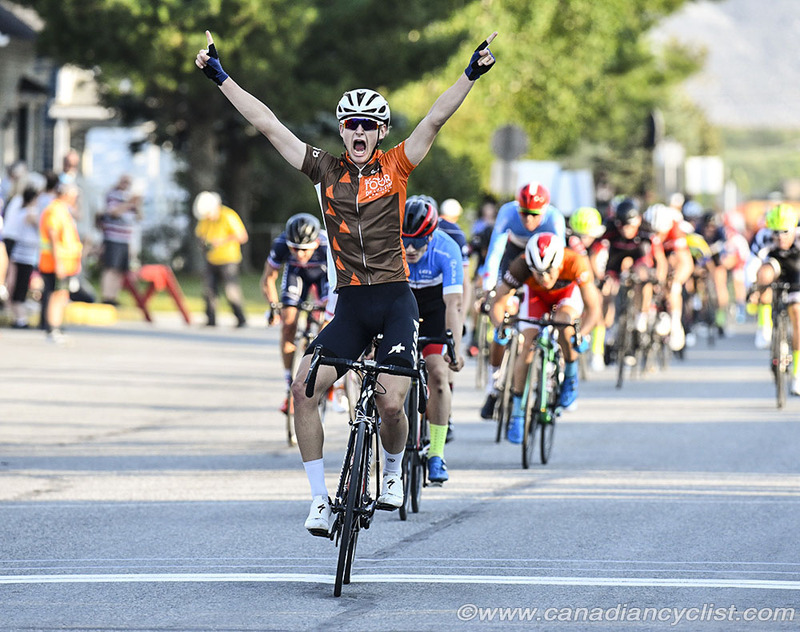 The focus has shifted a bit [for the team]; we will still be going for stage wins, but the goal will be to come away from Abitibi with a jersey." Sheehan now leads his two team mates Kendrick Boots and Michael Garrison by 11 seconds, with Canadian road and time trial champion Ben Katerberg (Tag Cycling), remaining in fourth, now 15 seconds back. 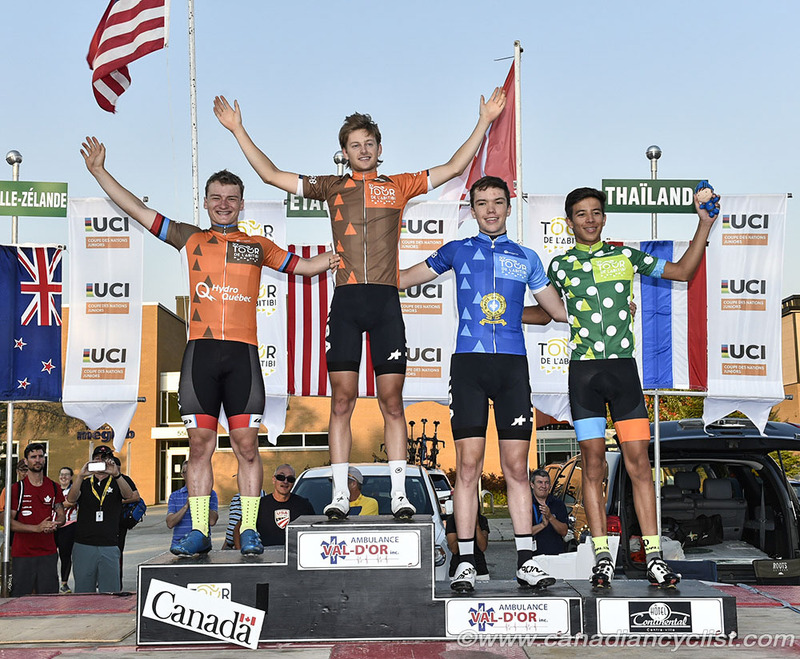 Garrison remains in the Blue Jersey as Best Young Rider, as does Kevin Cervantes (Alterra Home Loans) in the Climber's Jersey, since there were no KoMs contested. In the Points competition, Pickrell now has 72 points to Hino's 64, with Sheehan moving into third with 54 points.